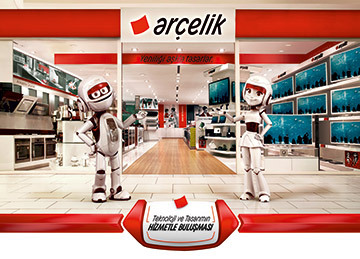 To represent the Arçelik brand with its existing “leading, visionary, dynamic, innovative, bold, elegant, trusted, empathiser, one of us, honest and responsive” image and to remain as the market leader. To offer our consumers products of latest technology, sensitive towards the environment and human kind. To continuously develop our human resources and technical infrastructure; to strengthen our sales and after sales service quality every day; to elevate customer satisfaction to the highest level.